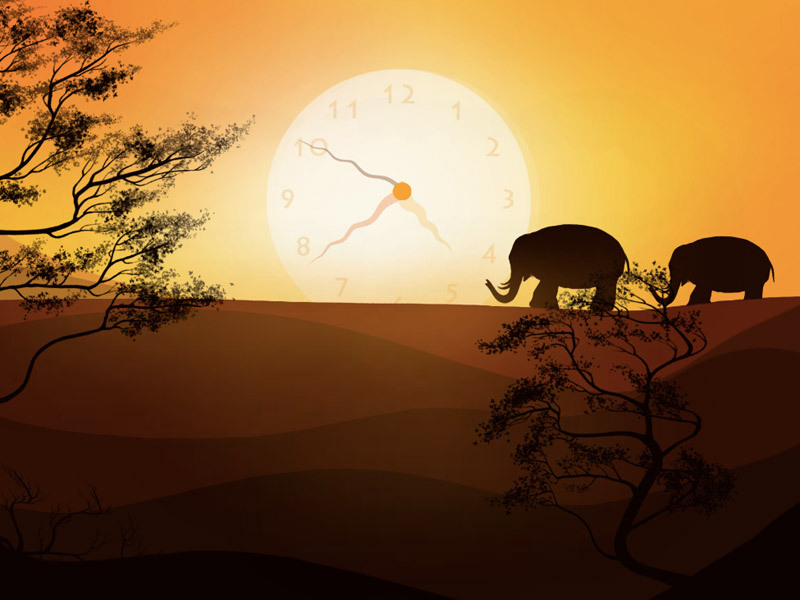 7art Elephants Clock screensaver - meditative elephant footstep on your screen! 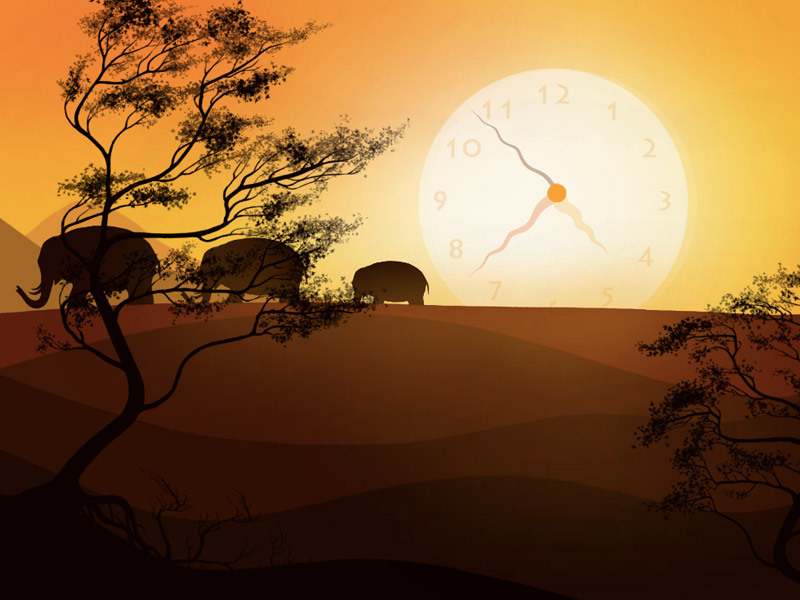 Golden sands of eternal time and resting heat of great sun! Family of relict animals appears stately on your screen while sultry nature comes alive and echoes its songs in splendor of tranquility! Sit back and let your mind drift in meditative manner. 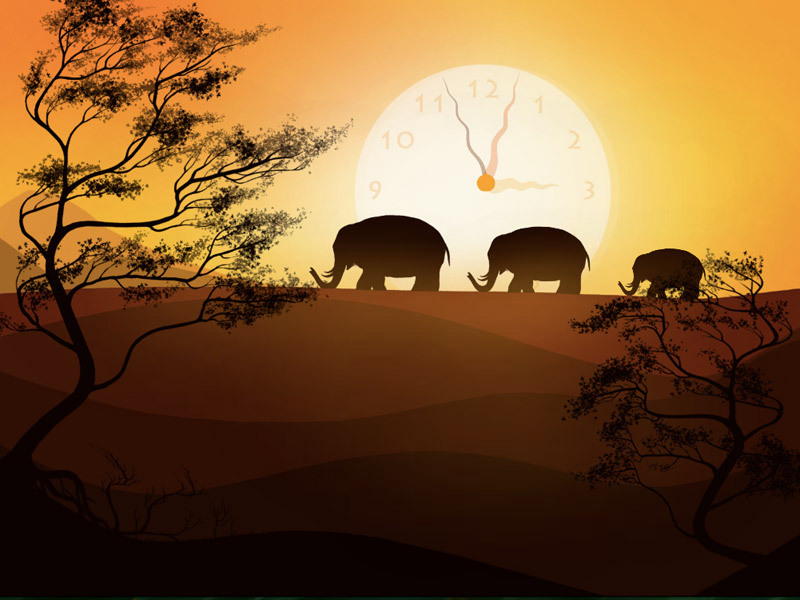 Elephants are presented majestically in golden sands of heat on your screen.